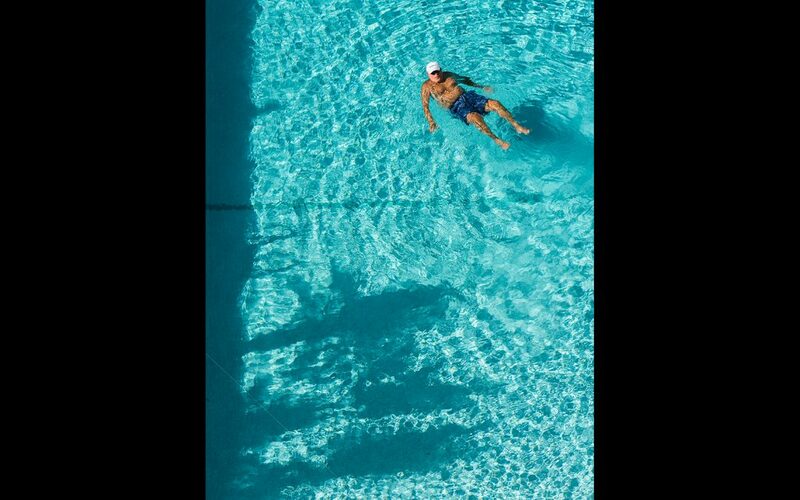 Every morning this man would go for a float in the pool where we stayed. After a while I marvelled at the commitment to his routine and his ability to stay afloat for as long as he did – I am pretty much a rock! One morning coming back from a run, I saw him going into the pool area for his daily swim, he needed a walker to move which made his routine even more impressive to me. Over the next few weeks of varied weather and light, I started to see the shadows in the pool, palm trees, pool steps and so on. I wanted to make a picture that captured both his floating freedom and a sense of place. In some ways he was very stereotypical for Florida, but I saw a side of him that helped me see a side of many others I met there.